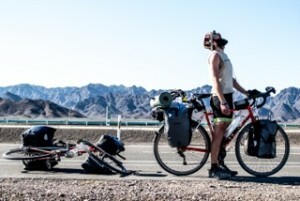 Will Frazer cycled around the world from London to Miami. Along with his friend Johan du Plessis, the two spent 234 days on the road, cycling 23,500 km through 24 countries. Their adventure is called Riding for Rhinos and their mission is to raise money and awareness for an animal dangerously close to extinction from poaching. You can learn more at their website ridingforrhinos.org. Will Frazer, welcome to The Pursuit Zone.